Ra Indio Tizok, February 19, race 1 – “took a bad step…euthanized on track.” Ra Indio Tizok was two and under the whip for the 2nd time. Amberella, February 26, race 7 – “broke down just after the race…euthanized on the track.” Amberella was seven and under the whip for the 21st time. 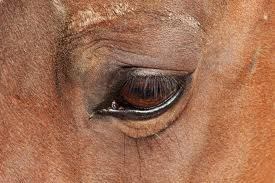 These cruel deaths of innocent horses continues on whilst those who have the power to intervene do NOTHING!!! How many racehorses must die until these hell holes are shut down? Is 2000 a year not enough? Running in 100+ F heat, with a shot of Lasix to boot, dehydrated, sore/tired PLUS getting whipped/beaten? How can anybody participate/support this repulsive excuse for $2 bets? Surely a civil society can do much better than this. Spread the truth about this business because it needs to shut down now.